In order to learn how to prevent emotional and behavioral disorders in children, we need to understand that, contrary to popular belief, disorders such as anxiety, depression, ADHD, Oppositional Defiant Disorder and almost all others, are in my opinion and my clinical experience, NOT caused by genetics and biology! As has been demonstrated to me countless times, they occur when a child is born with a particularly sensitive temperament, and then experiences certain adverse childhood stressors, which because of his sensitive nature, are experienced as a trauma. The emotional disorder is the body and mind’s maladaptive attempt to cope with that trauma. My opinion in general is that using medications for your child’s ADHD and other issues, including psychotropic meds such as Ritalin, Prozac, etc., should be reserved for more serious situations. For example, if a child diagnosed with ADHD is getting B’s and C’s it is probably overdoing it to put him on meds. How to reduce tantrums using Play Therapy. Are you frustrated by your child’s frequent tantrums? Is he or she defiant, and often refuses to listen? Are you overwhelmed as a parent and have given up hope that anything will help? 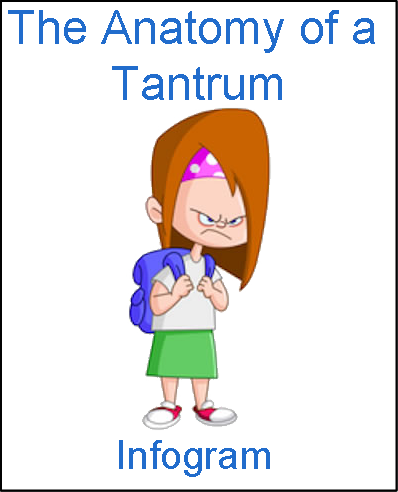 Did you ever wonder how to reduce tantrums using Play Therapy? “My child hits others!” How do we deal with aggression? Children often hit when they don't get what they "Want" but more often it's because they didn't get what they need. Let’s say the child gets an hour of TV, and when you tell her you have to turn it off, she gets angry and aggressive and starts hitting. The truth is an hour of TV is a somewhat arbitrary amount. She's telling you at this time, “I have a desperate need for the kind of pleasure and happiness that another 15 minutes of TV provides! Not getting it is intolerable to me and makes me feel extremely deprived and angry!” Again, don't feel you're spoiling your child by giving them that extra 15 minutes. You may be fulfilling an important need. How to handle my child’s misbehavior? By using it as an amazing opportunity to reconnect! Selfishness in children: it may not be as bad as you think! Many times parents voice a complaint about selfishness in children. They feel their children are endlessly needy and demanding, even greedy, and don't seem to think of or have consideration for others. This generates fear in the parents that their children will lead a life of selfishness and poor character traits and certainly won’t be liked. Remember that children are completely dependent upon their parents, both emotionally and physically, and any conflict between you and them threatens their critical lifeline. You are their whole world! Therefore if he or she says “I hate you,” it means that he is suffering intensely and is truly desperate. It is precisely at that moment that he needs our support and understanding emotionally. It is very important that we don’t take it personally and react in an adversarial way. Why do children steal and what should I do about it? First of all, don’t overreact. It is usually not a sign that he or she is heading towards a life of crime. If it’s a pre-school child who is taking other children’s toys, it is because he lacks mature impulse control and is not fully responsible for what he is doing. Children often engage in mischief. They do what they're not supposed to, they don't do what they are supposed to, and sometimes they don't listen at all. Over time this child discipline situation can make us as parents feel very frustrated and angry. Are you frustrated with your child's lack of focus and poor school performance? Are you upset by your child's misbehavior and impulsivity? If you are you interested in a simultaneous or alternative treatment to ADHD medication, or a longer lasting treatment that continues after the meds have worn off, I highly recommend Parenting Counseling. Our children’s misbehavior may sometimes infuriate us. They may misbehave frequently, and the resulting anger we as parents feel should not necessarily be disregarded or condemned, as it is sometimes a natural reaction. However, yelling at the children or retaliating in some way always seems on reflection to be counterproductive and emotionally harmful to both parent and child. Moreover, it often doesn’t seem to prevent the behavior from repeating itself! The following advice about how not to spoil your child is inspired by the work of my dear mentor, Dr. Ben Sorotzkin, to whose work I have added some of my own ideas. No parent wants her child to be spoiled, selfish, and demanding. Can this be avoided or resolved by reducing the number of material things we give them? How does a child get this way? How do we prevent it?